China forces some of its games companies to restrict the number of hours of play a day for under 18s. Online gaming and e-sports are huge industries, but there are concerns about over-use and addiction and the way gaming takes up the time of young people. China is forcing some of its biggest games companies to put restrictions on the number of hours a day under 18s can play. But do such curbs make any difference, both to the young gamers and to the gaming business itself? 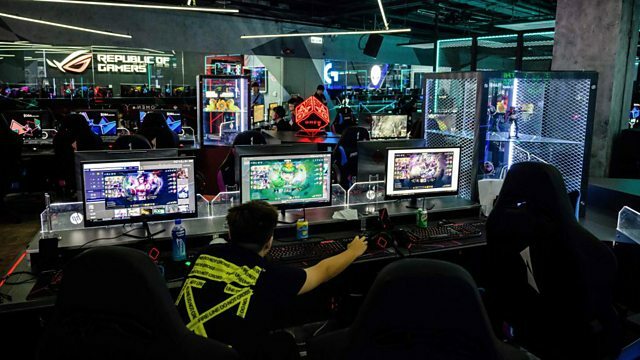 Rory Cellan-Jones hears from a gaming expert and former professional e-sports player, a former online gaming addict and an expert in China's gaming industry. The biggest financial stories and why they matter to us all.